HP’s proactive leadership on environmental and social issues is a critical driver of brand trust. 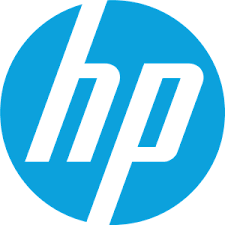 This year, HP was once again named to Corporate Knights’ Global 100 Most Sustainable Corporations in the world ranking. For the fifth consecutive year, HP was named to CDP’s A List, which recognizes industry pioneers acting on climate change and building our future economy: one that works for both people and planet. HP is committed to developing and delivering an environmentally sustainable product portfolio, improving the sustainability of global operations and partnering with suppliers to reduce their environmental impact. The company’s vision is to transform its entire business to drive a more efficient, circular, and low-carbon economy and enabling customers to reinvent the future through HP’s sustainable portfolio of products and services. Over the last five years, HP Brazil has collected and recycled more than 5,000 tonnes of end-of-life HP products and manufactured more than 8.2M printers with recycled content1. HP Brazil’s closed-loop solutions on plastic require less energy to produce than virgin plastic and cost 15-32 percent less2. In 2018, the HP Ink Tank printer manufactured in Brazil contained 20 percent recycled content. HP’s goal is to reach 32 percent recycled content by 20202. Regardless of the industry, employees want to be involved in meaningful initiatives, inspired by their day-to-day tasks, and work for organizations reflecting their personal values – these are core elements of an engaged workforce. According to a study by the Corporate Executive Board, engaged employees put forward 57 percent more effort at work and are 87 percent less likely to resign from their current company. HP combines social impact programs and partnerships with products and solutions to provide technology-enabled inclusive learning. HP’s ambition to enable better learning outcomes for 100 million people by 2025, with a focus on preparing learners with the skills to succeed in the future economy.